Just imagine receiving a prettily wrapped food gift from your loved ones. In fact, you can become the reason for someone’s happiness by gifting him/her nicely packaged candies, cakes, brownies and more. It would be even more exciting if you receive a food item that is homemade too. It is a sure gesture of love and care. Nonetheless, looking for ready-made packaging material or going to a shop to package your food nicely can be an expensive approach. On the flip side, you can do it on your own at home with just being creative and thoughtful. As a matter of fact, DIY packaging of gifts not only saves your cost but also expresses your concern for the recipient. When the gift is a food item, it requires a packaging that is attractive yet extra protective. Wondering how to do it at home? We have come up with seven DIY gift food packaging ideas that are award-winning and can make the receiver’s holiday a cheerful one. You can show as much creativity as possible when it comes to the packaging of a gift with cardboard. In addition, this type of packaging does not put an extra burden on your pocket as it is not that costly. To serve the purpose, make sure you have a right-sized cardboard box. Adding to it, get chalkboard spray paints to decorate it in an attractive manner. Subsequently, carefully spray the paint on each side of the box to cover it completely; however, do a light coating of spray so it does not look like an overly designed gift pack. Then let the paint dry for a while. You can paste bows or stickers on the box and/or write a holiday message with hand to show how much the receiver means to you. Furthermore, you can also use colorful wax paper on the borders to make the package more appealing. In the end, fill it with candies, chocolates, nuts or whatever edibles you want to gift. Usually, there are one or more than one spare mason jars in every house and they can contain edibles nicely and safely in them too. So why not make the most out of those spare mason jars? In contrast, you can purchase these inexpensive jars from any nearby craft store in case you don’t find one at home. Make sure the jar has a wide opening so that you could place cookies, candy bars or cupcakes without damaging those edibles. Tying a knot with a ribbon or dressing the jar with a bow will make it look more fascinating. As an added bonus, the receiver will also be able to use that jar for the desired purpose as they are reusable. 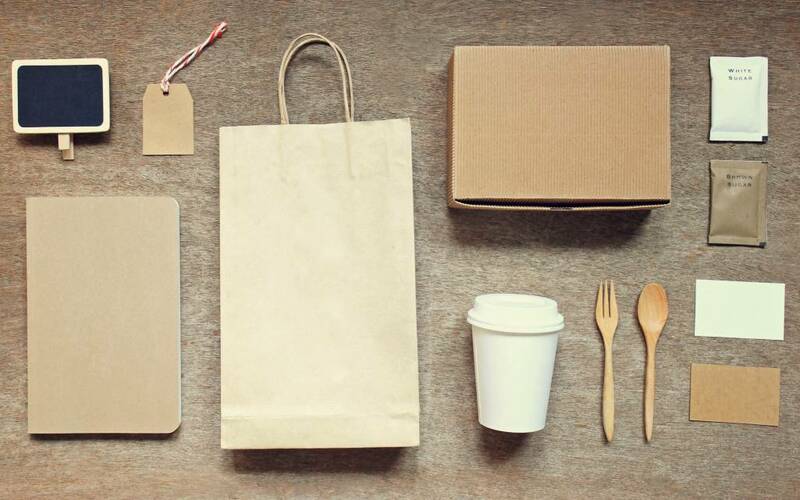 Though brown paper bag appears a simple packaging material, it throws a delicate look of the gift. And most of all, the simpler the packaging material is, the better look it gives to the item. Don’t you think so? However, you can add to its decency by decorating it with a ribbon. Adding to it, you can also attach some tags that could relate to the holiday or the receiver’s personality. Prior to packaging in a brown paper bag, place the food items in a Ziploc bag to ensure their freshness for a long time. Many people, no matter of what age group they belong to, enjoy their tea-times with cookies and cakes. So, gifting cookies to your loved ones can make their holidays and tea-times more delightful. However, it is the packaging that matters when you want to tell someone that s/he has a special place in your life. Therefore, an ideal way of gifting cookies to your dear ones can be by packing them in cookie tin boxes. Your part is to just decorate the tin box as creatively as you can because they come ready made. You can place some colorful tissue papers inside to provide additional safety and appealing look to the cookies. For the exterior, you can take advantage of some nice-looking wrapping sheet or festive ribbons. Moreover, stripped ribbons also look very charming when attached with a gift package. So, pick up the packaging stuff that suits your budget and the personality of the recipient as well. You can make a cone-shaped plastic bag on your own or find it at your local grocery store to pack edibles in it. This type of transparent food packaging idea looks mouth-watering as well as appealing too. In order to make this packaging more captivating, you can add a snowflake and/or tie it with one or two sheer ribbons. You can turn an ordinary looking metal canister into an enchanting food packaging box. All it requires is a creative mind and some beautiful stuff to decorate it nicely. Wrap the canister completely by sticking a glittery or shimmery wrapping paper all over it. Or you can also cover it with an art paper. It all depends on your choice. Lining the borders with ribbon can also give it additionally enticing look. You can decorate the box further by sticking colorful hard chart papers, cut in different shapes such as heart, dots, bows and more. Attaching a label to your gift, regardless of the packaging material, is essential to complete the look of the lovely present. It works as a finishing touch to the gift that could make the receiver feel extra special and loved. To serve the purpose, you can design labels on your own or get the printable templates online. Some of the adorable ideas of labeling your present can be fabric labels, wooden gift tags or chalkboard labels. So, go for it.